HDR Expose 2 and 32Float v2 are Unified Color's second generation HDR merging tools designed to make high dynamic range images simple and effective. You can choose from either a standalone product (HDR Expose 2) or a Photoshop (Lightroom, Aperture) plug-in. 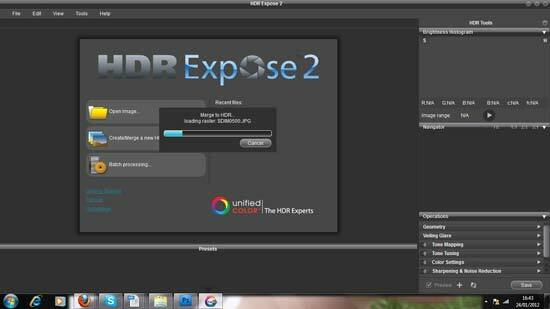 The biggest difference between the two programs is that HDR Expose 2 will batch process HDR images, which sounds extremely handy. There are one or two other notable differences which we'll cover in the review. Unified Color Expose 2 costs around $149 and is available from the Unified Color website. We managed to download and install the program in around 10 minutes but it all depends on your internet connection. However, the actual process is super-easy to do. 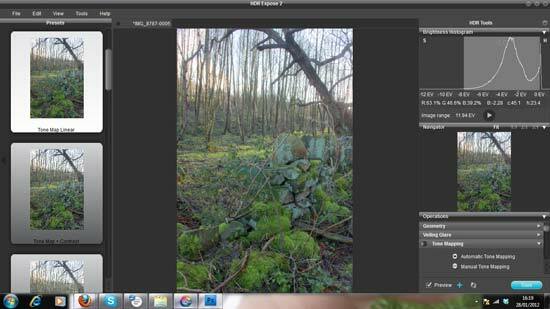 You can try HDR Expose 2 or 32Float v2 on a trial basis at the moment. Launching the program opens the welcome screen which gives you three options: Open image (for an existing image), Create/Merge (for new images) and Batch processing (not on 32 Float v2). There are also 3 links to tutorials, help and the Unified Color homepage. The Getting started link takes you to the download page which is unusual. After all, why would you want to download the program from the program you've downloaded? However, the actual help and tutorials are very good; they're informative and concise. Creating a new image is easy enough. Click on the second option and you can either drag your pictures into the white box or use the program's search tool to locate your files that way. The ghosting options below the white window are one of the differences between Expose 2 and 32Float v2 which doesn't have automatic ghosting. 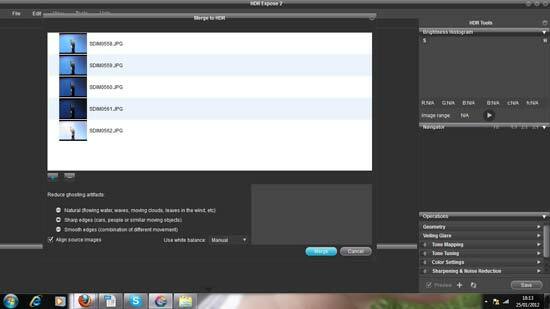 Merging will take around 5 minutes depending on the file sizes and whether you use 3 or 5 images. However, we found that the program struggled when using 5 images. Before you merge your pictures that you've loaded into the program, you can click on each one and see a histogram of the exposure. You can adjust for ghosting depending on the type of picture that it is. For example, fast moving clouds will cause problems so using the natural setting will compensate. There are also Sharp edges and smooth edges versions for different types of movement. However there's no option for no movement at all. We found that merging pictures of perfectly stationary objects caused problems in the previews. However, these problems didn't cross over to the final render. The problem is that the initial problems will cause users to simply close down the merge thinking there's a fault. Once the pictures have merged, the preview loads into the main window of the screen. There are a number of presets sat on the left of the preview and they will adjust the exposure of the picture depending on the effect that you want. You can make the preview bigger by dragging these presets to the bottom of the window. The right of the preview image houses all the information and manual adjustment options. A histogram sits at the top which has an exposure slider. It's very useful allowing quick adjustments to exposure. A navigator sits in the middle so you can have an idea of where you are on the image when you're pixel peeping. Situated below this are the adjustment options. In Expose 2, Geometry will allow you to make the necessary adjustments to the image for cropping, resizing, changing the aspect ratio and changing the angle. Photoshop can do these things and it shows a lot of common sense that Unified Color have left it out of the plug-in versions. Saying that, Unified Color have included a lot of features in HDR Expose 2 that can still be done in Photoshop such as Curves, sharpening, dodge & burn and noise reduction. 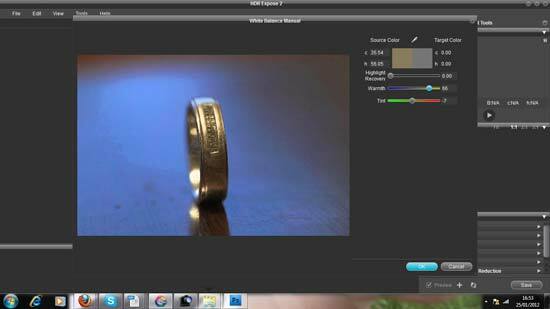 While the latter works to a satisfactory level, we found that either Photoshop or a dedicated noise reduction system such as Nik Software's Dfine 2.0 will perform better.